So having claimed the title of the series big evil at the end of the previous episode when she skinned alive Warren, the Buffy-verse is now faced with Buffy battling Dark Willow as she hunts down the two remaining members of “The Trio” with the final two episodes which originally were shown together before being split up for the boxset release. 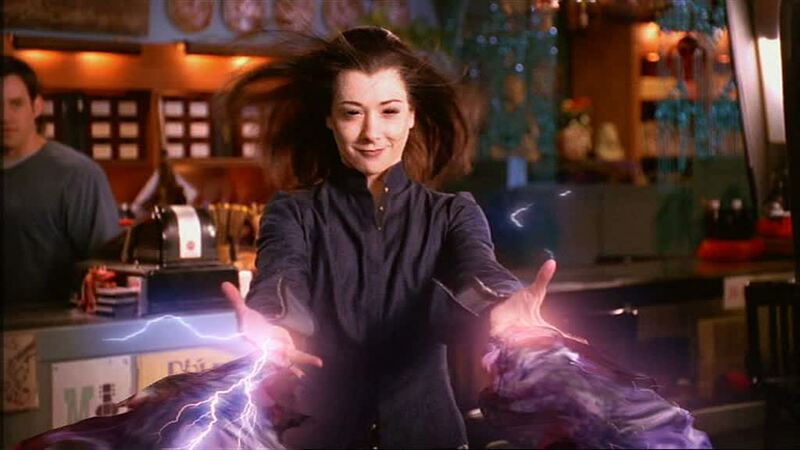 Dark Willow is really one of the more diversive elements of the Buffy-Verse especially when her presence relies more on showy demonstrations of power than any real threat like we got with the previous seasons big evil’s. This situation is inturn only further hinder by the cartoonist villianous turn from Alyson Hannigan whose high water mark for evil it seems was playing her vampire self. Judging from the nerdy imput from Andrew who having survived Willow’s attempts to recreate “Duel” with a semi-truck compares her to the Dark Phoenix from “X-Men” who also have proven problematic to bring to the screen in much the same way its hard to see Willow as a real danger especially when she’s just Willow with black hair and an annoying attitude. These performance / character issues only further impact on the episode which for the most part focuses on Willow gaining further power when she kills and drains Rack who somehow manages to be even creepier than the last time we saw him. The rest of the episode is largely focused on Buffy facing up to the fact that she may have to slay her best friend in order to stop her climaxing in the pair having a surprisingly decent showdown in the Magic Box. The other aspect to the showdown which works is in finally giving Anya a purpose beside being a bystander and its really a nice touch to have her protection chanting being the thing which stop Willows powers and finally gives her a chance to shine rather than being just the humorous support which we have seen her so often resigned to. 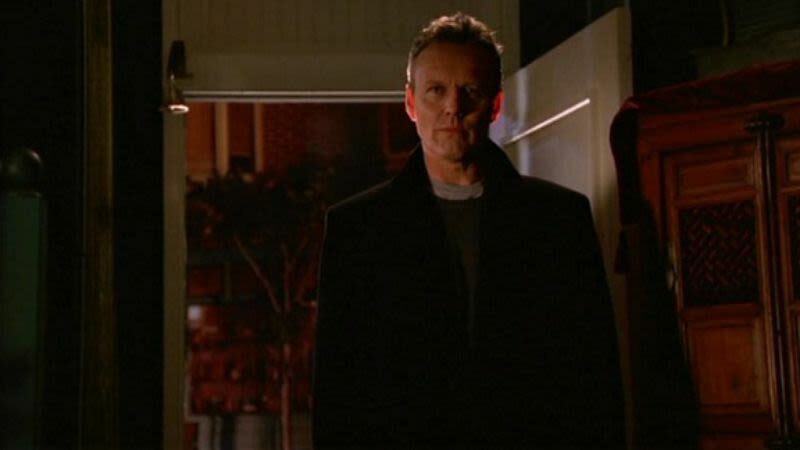 However the final shot of Giles stepping in to challenge Willow that makes what was already a great scene legendary. 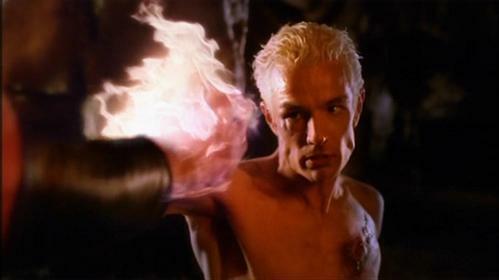 Elsewhere the running and fighting is broken up with Spike who is still hanging out with the cave demon in Africa as he continues in his attempt to be restored which now see him battling a warrior whose hands are on fire, which is a great effect and equally used to great effect in the fight scene, especially when Spike grabs onto one of his flaming fists and immediately regrets it. Certainly a better episode than many we have endured this season, its sadly one let down by some hammy acting choices which mainly befall Dark Willow and inturn further prevent us from buying her as the season big evil.